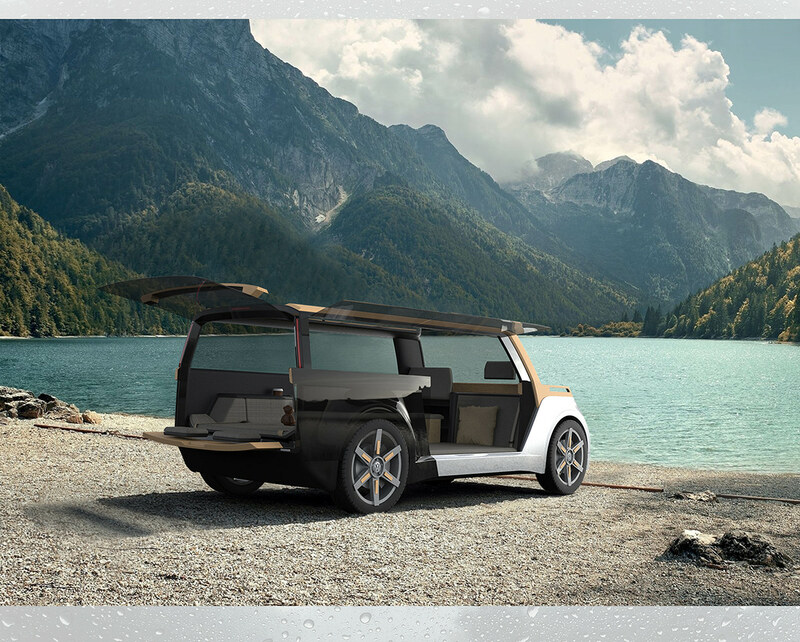 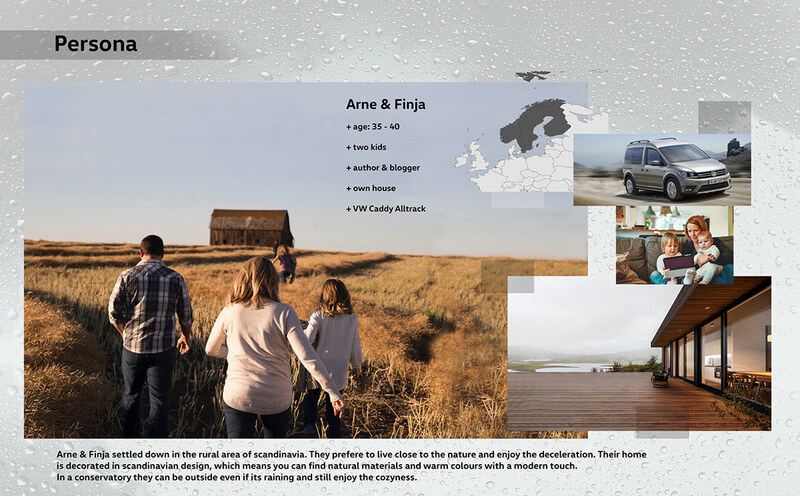 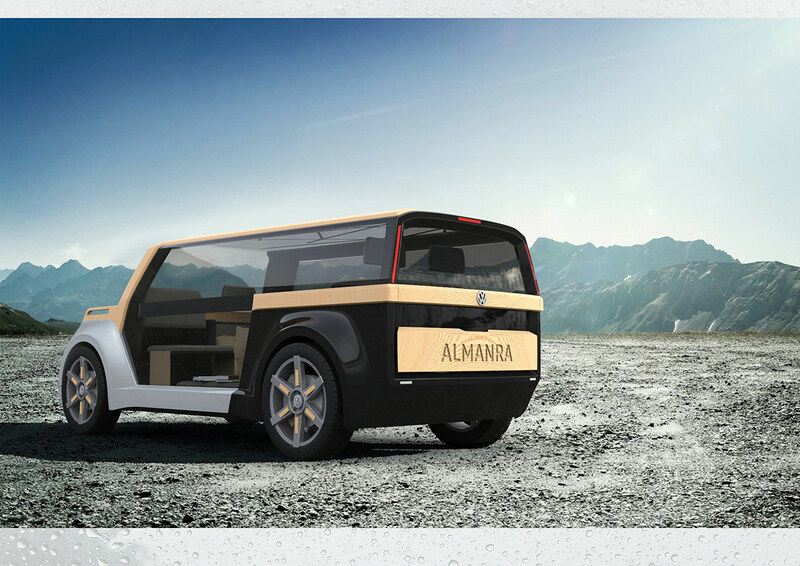 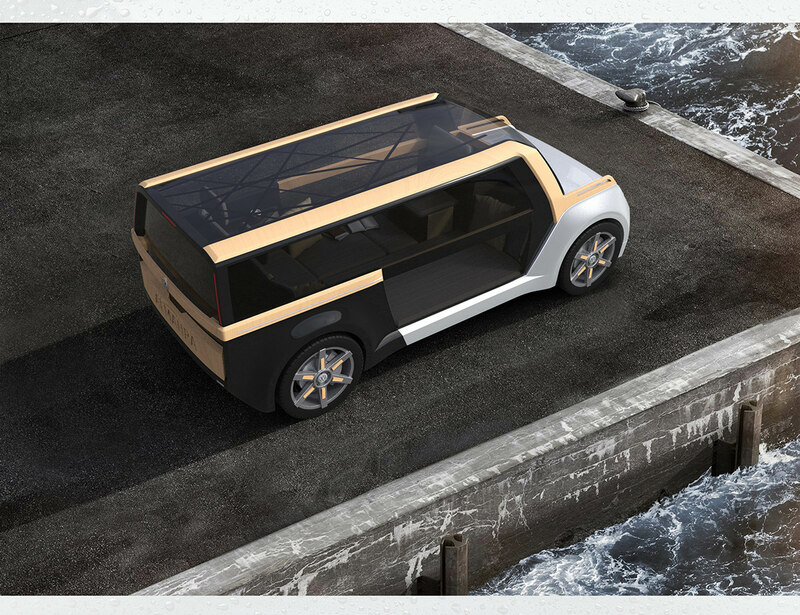 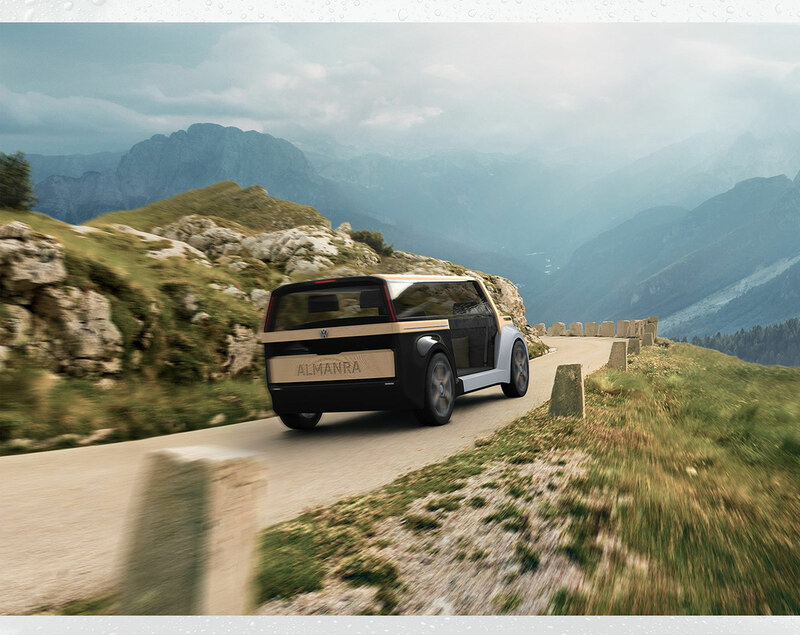 With the new Volkswagen Almanra concept it‘s possible to appreciate the nature on a whole new level. 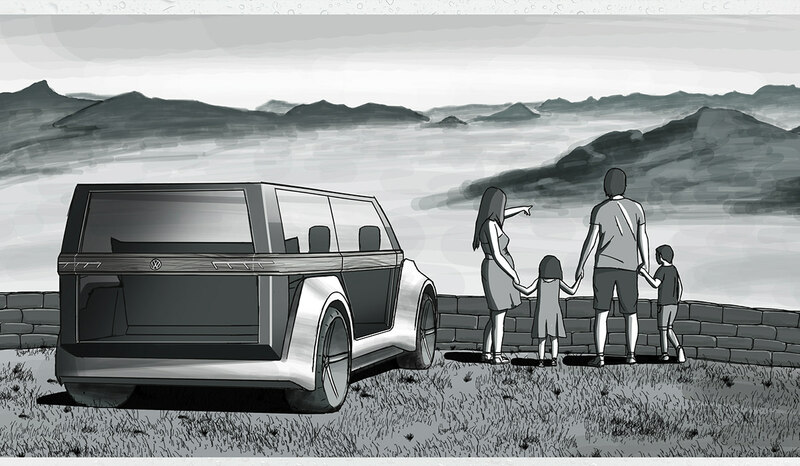 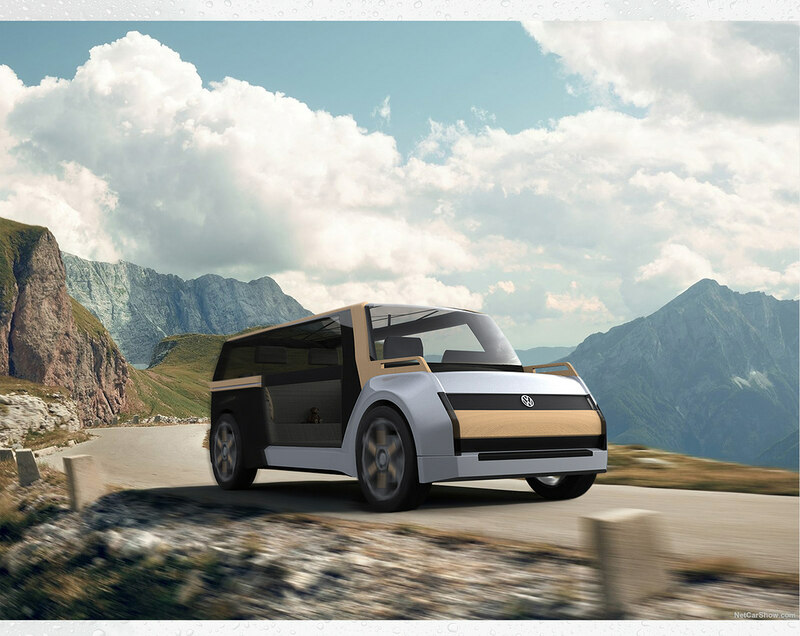 On the one hand, the electric vehicle is 100% environmentally friendly, thanks to its fuell cell drivetrain. 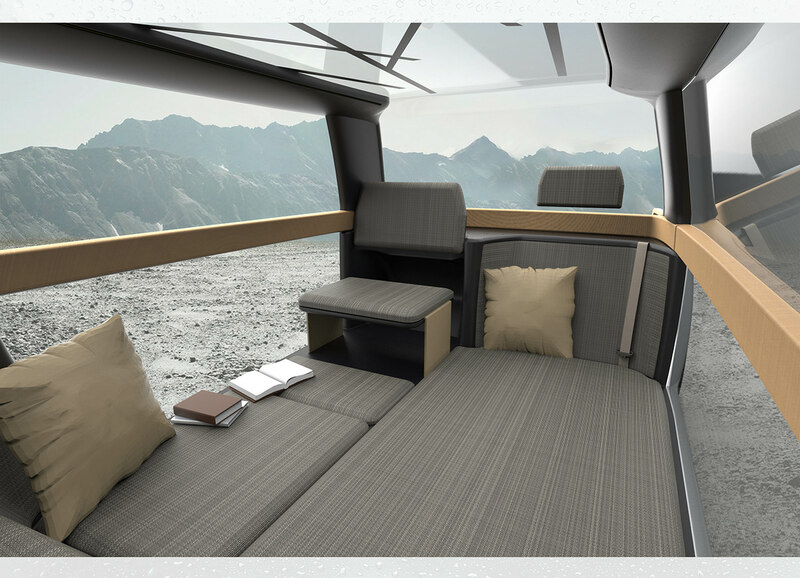 On the other hand the nature and environment gets into focus because of the wide window areas. 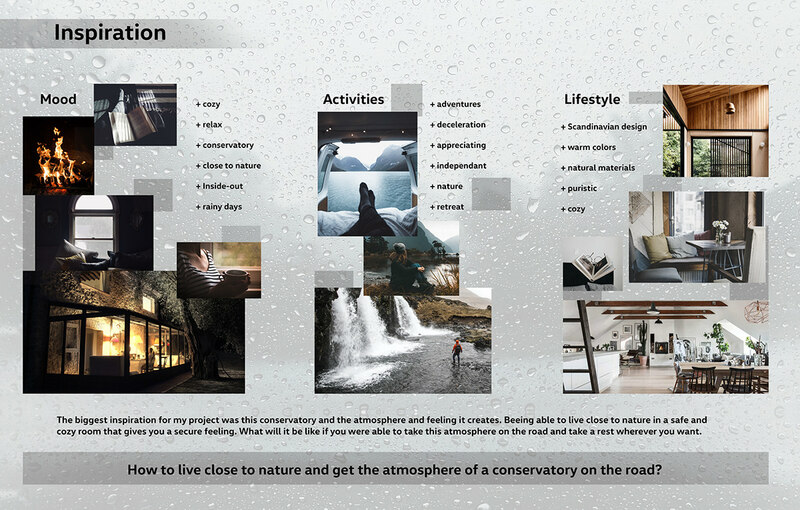 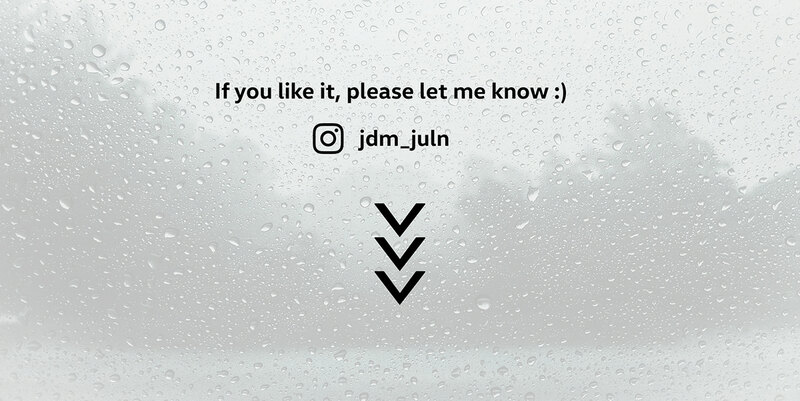 Similar to a conservatory, the user has a room, where he can feel cozy and comfortable whether its sunny outside or pouring with rain. 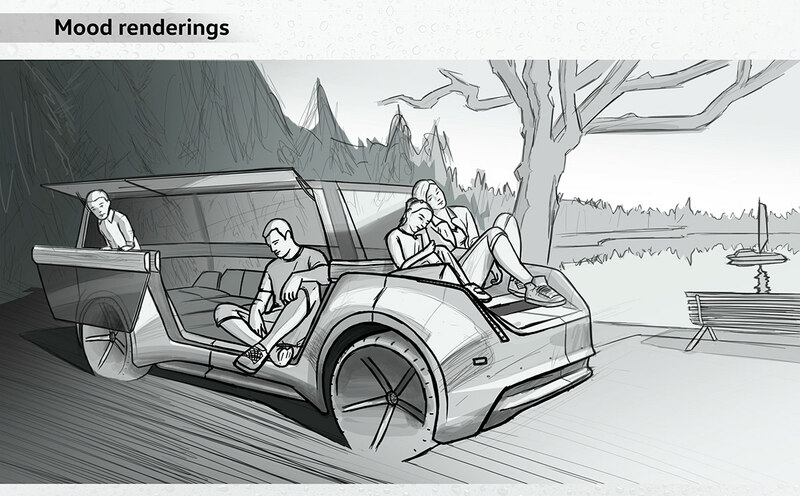 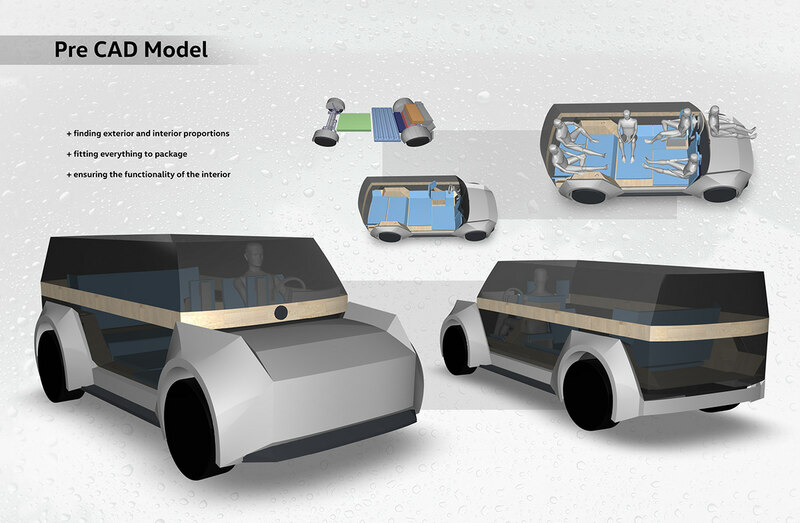 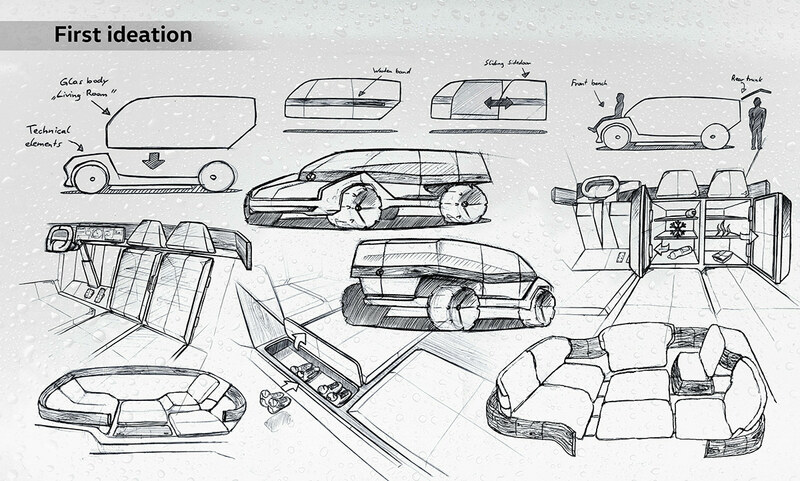 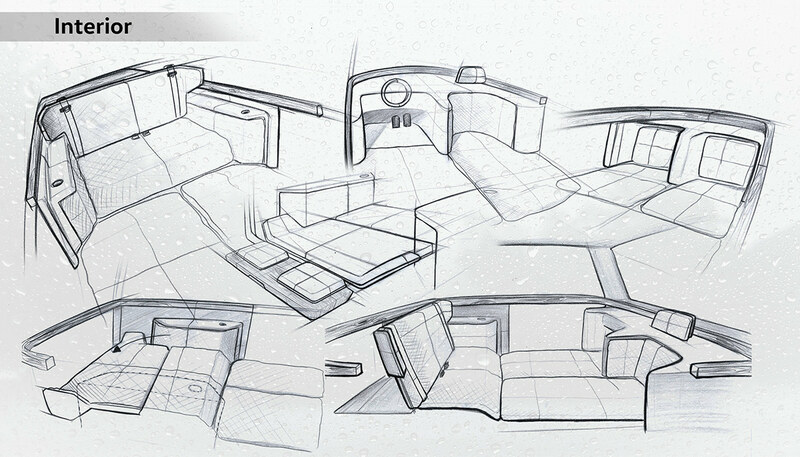 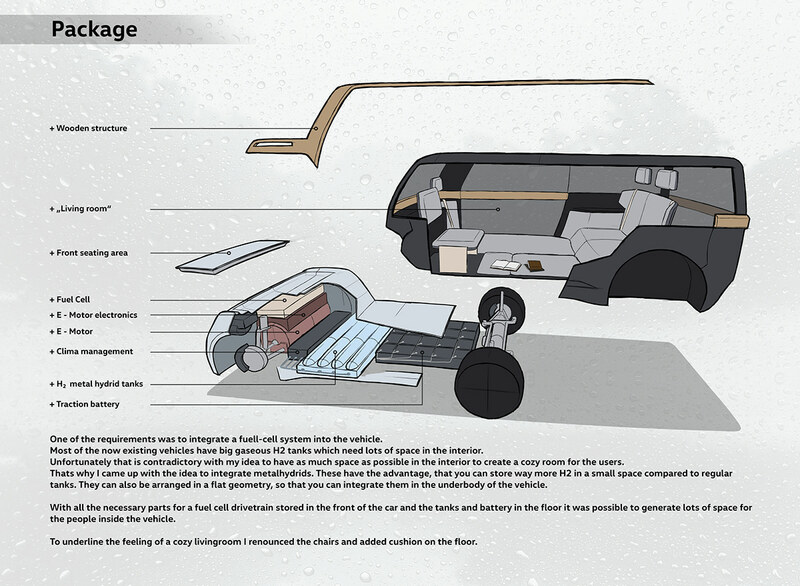 With the possibility of driving autonomously, there is the chance to give a new use case to the interior. 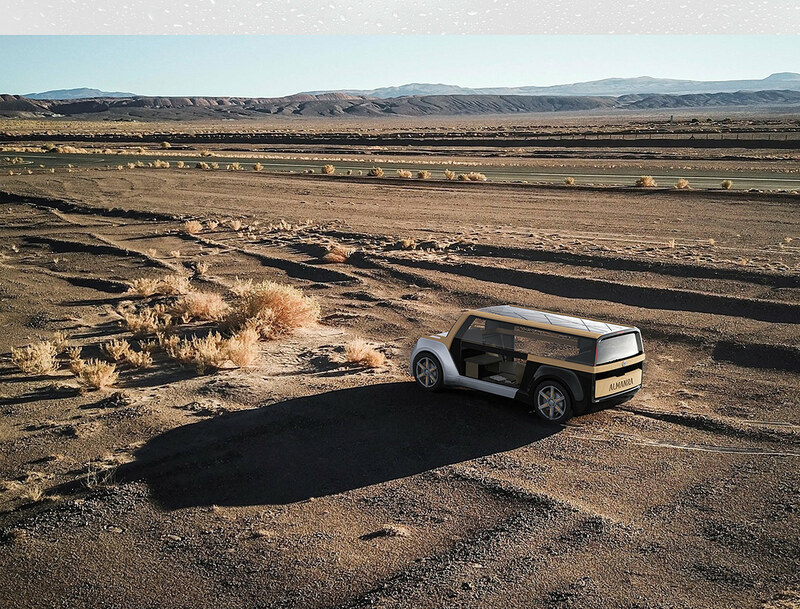 In this case, there are no regular seats inside at all. 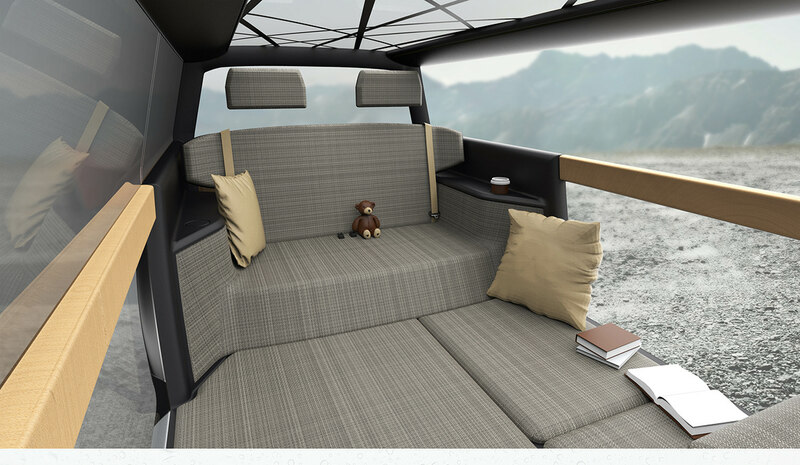 Like this, you can place yourself freely without obstacles and hang out or relaxe like you would do it at home. 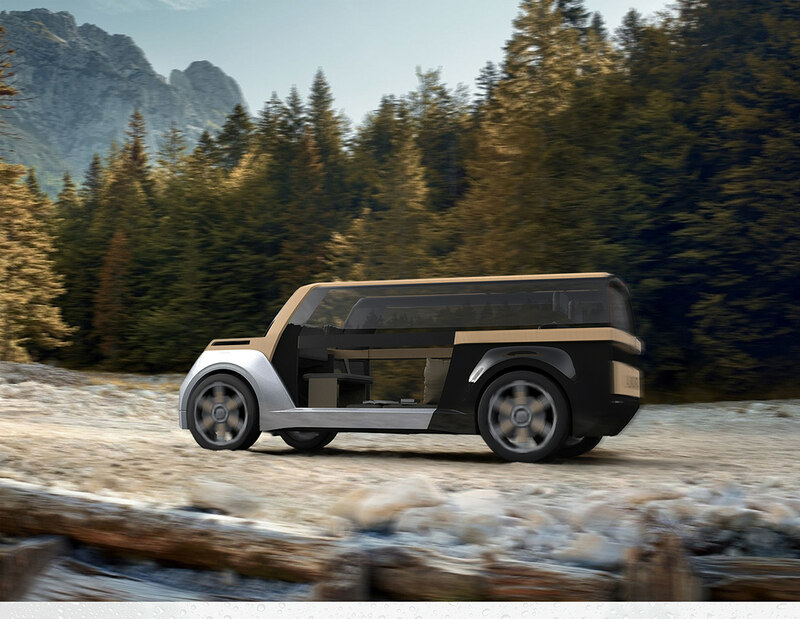 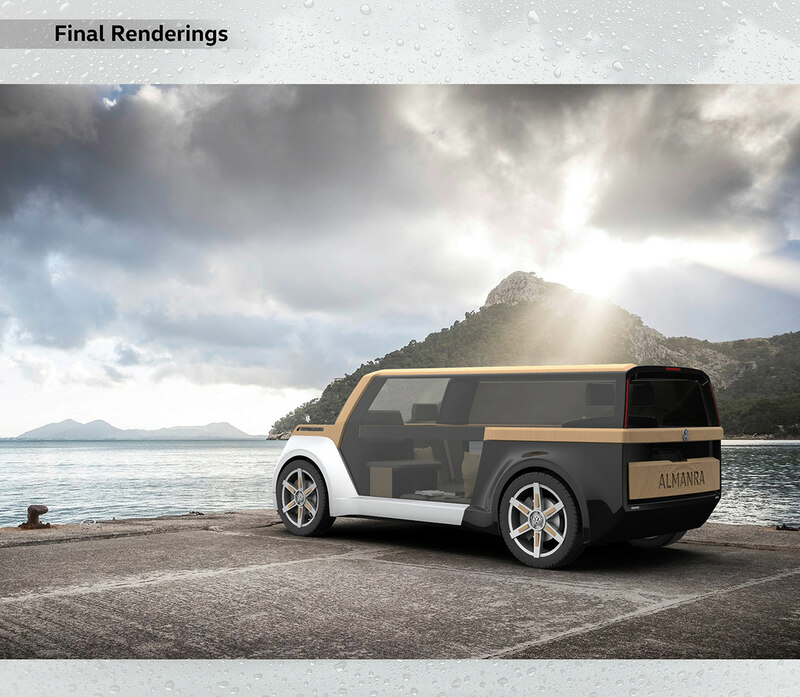 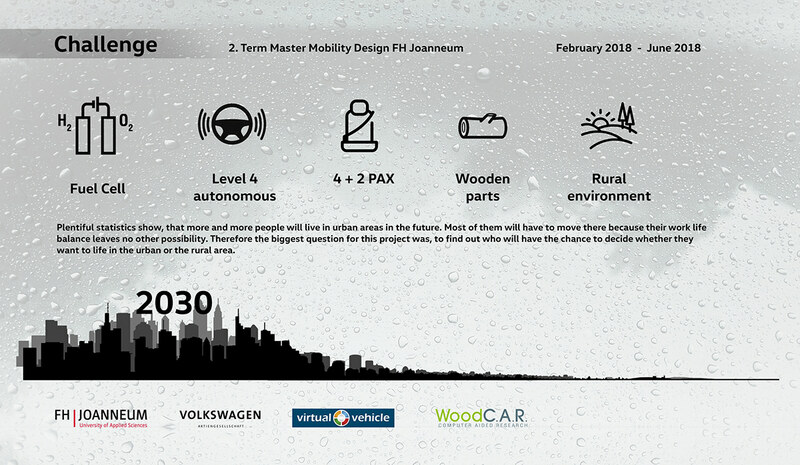 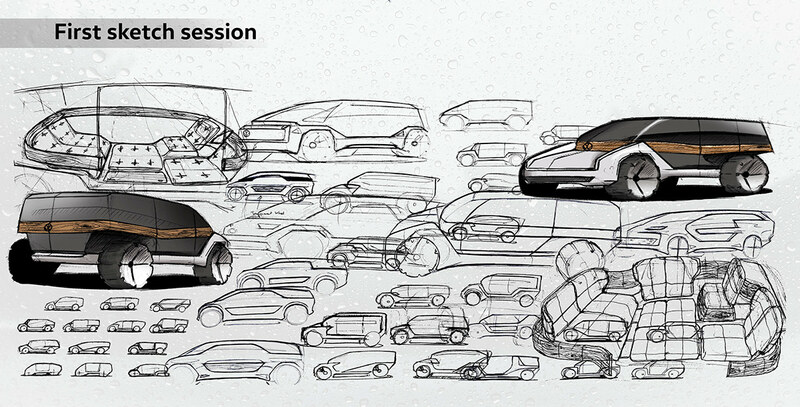 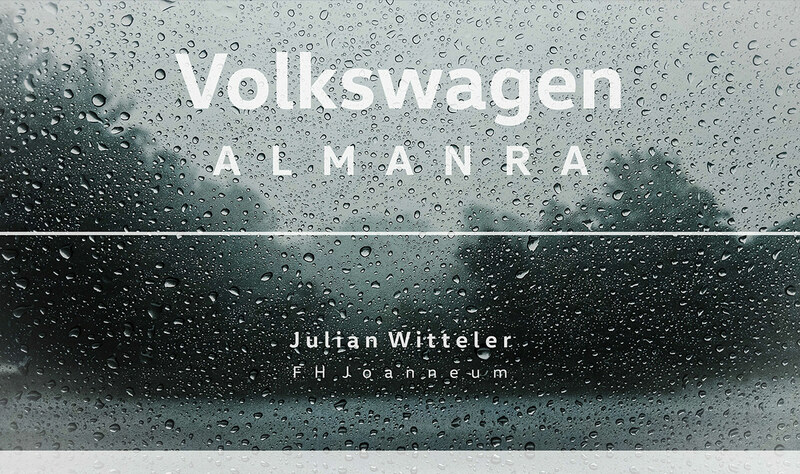 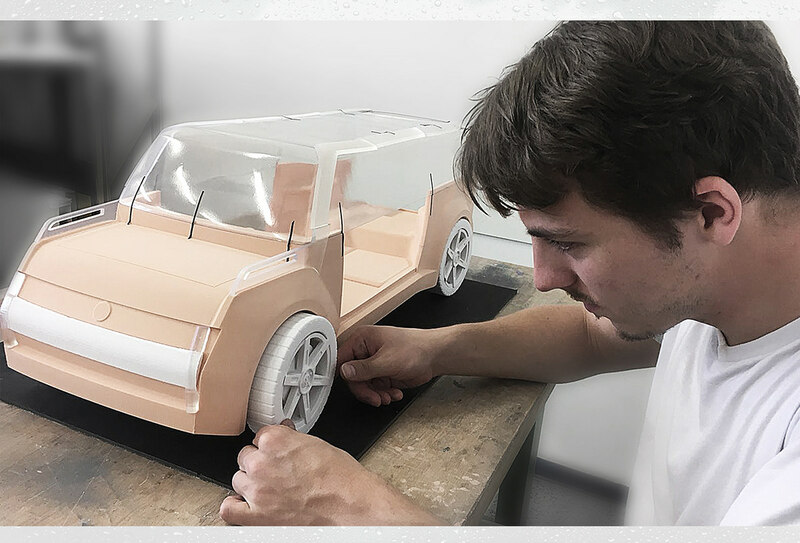 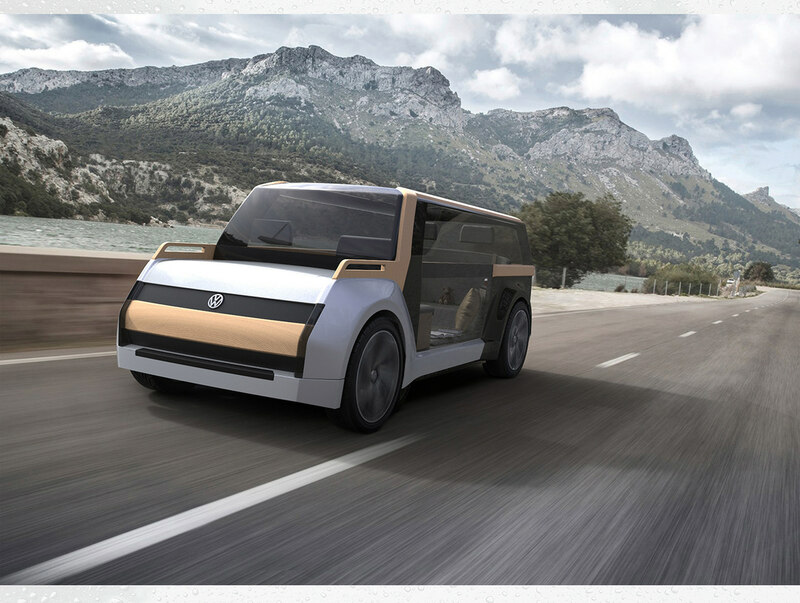 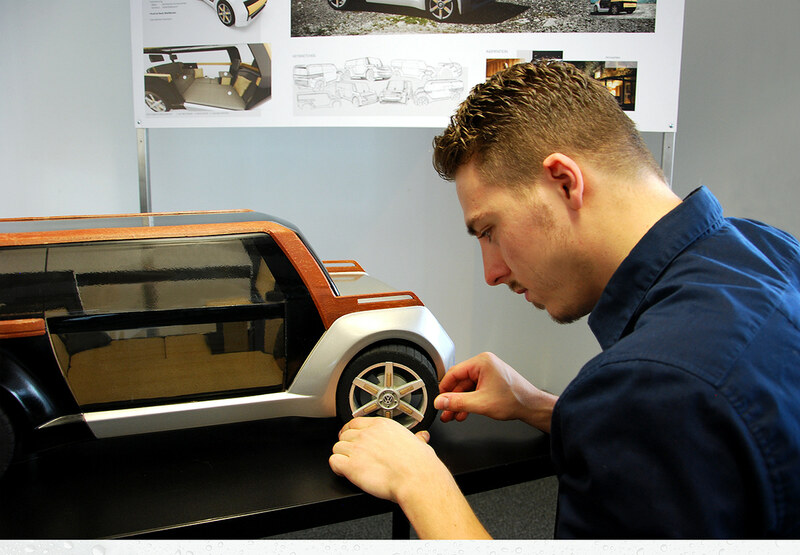 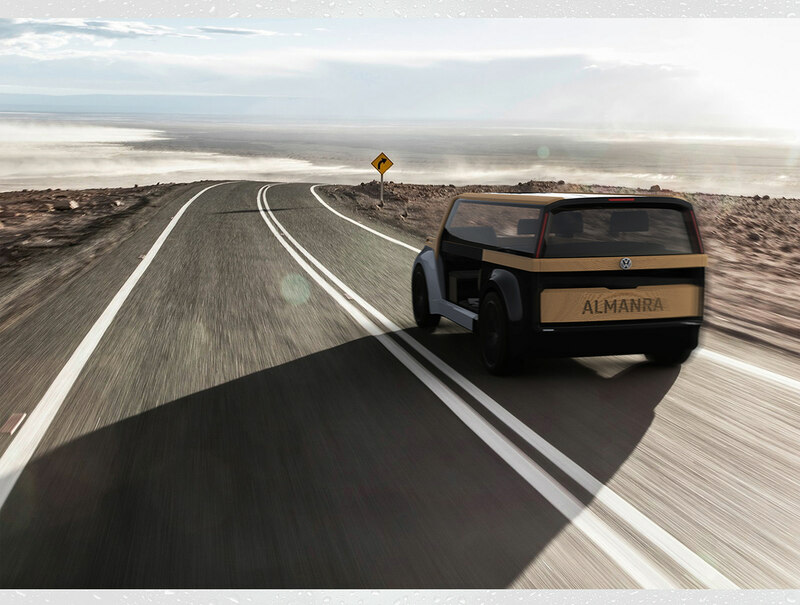 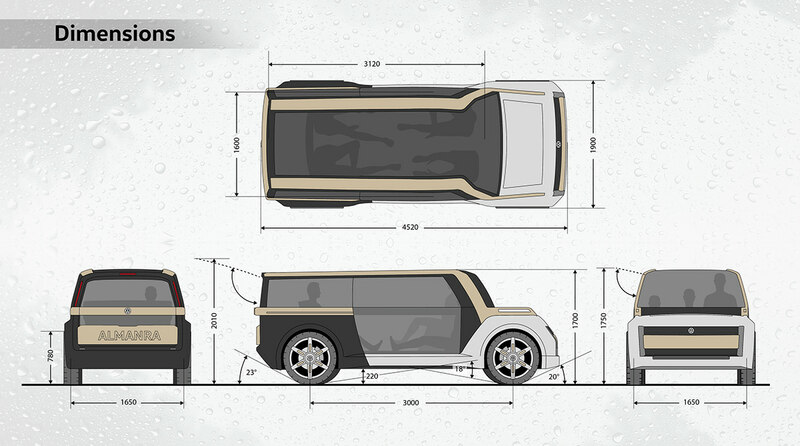 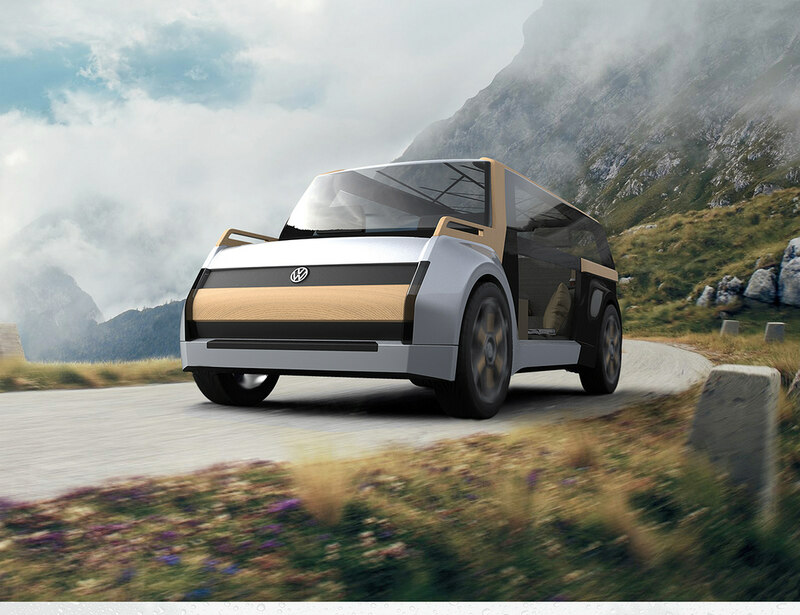 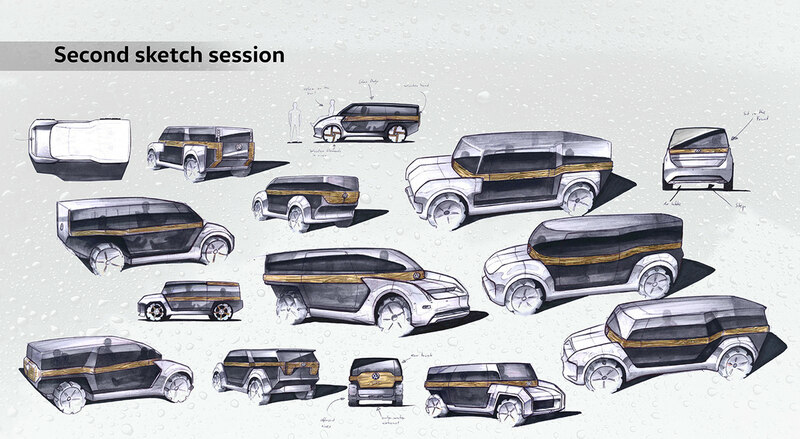 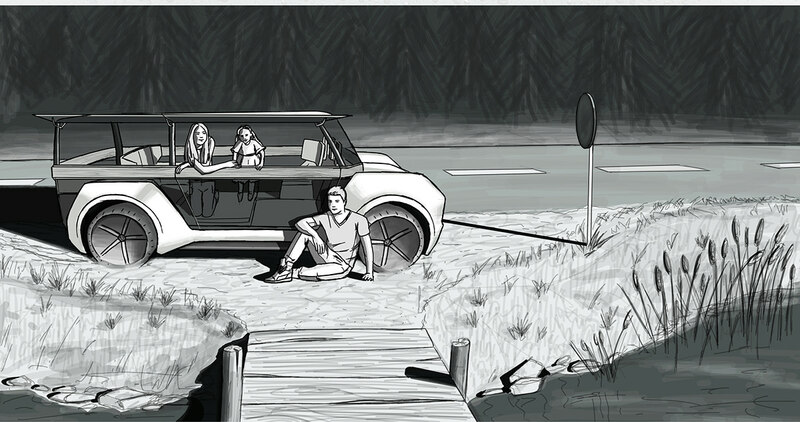 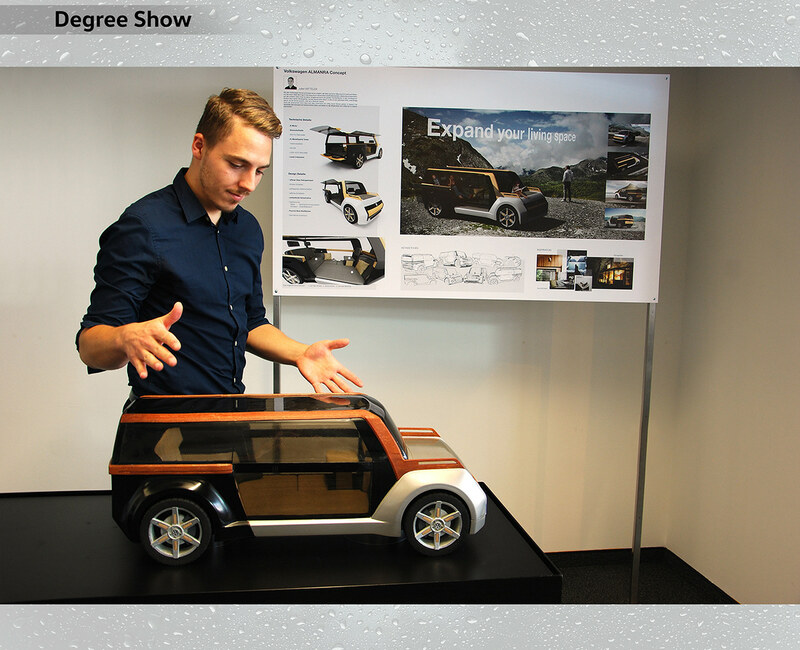 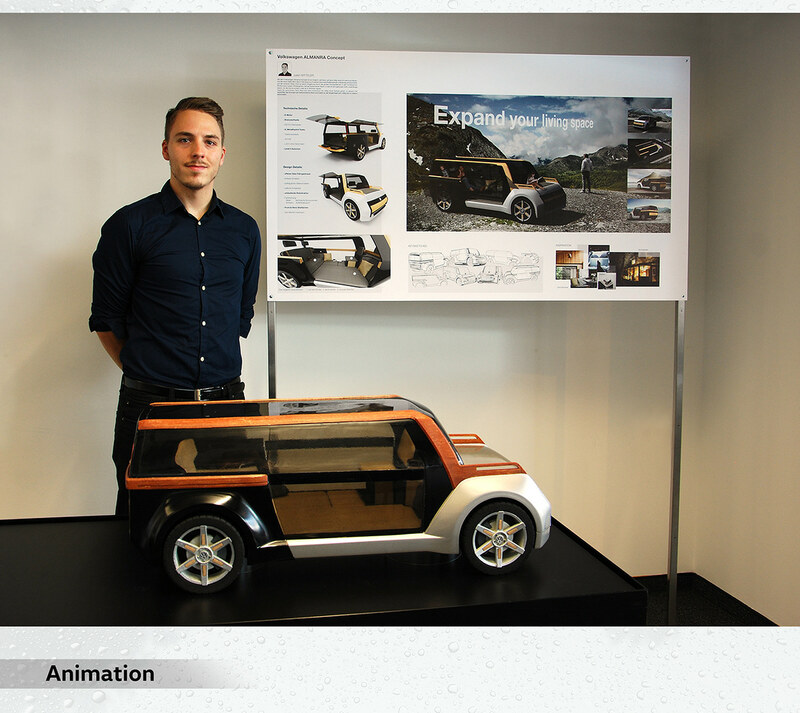 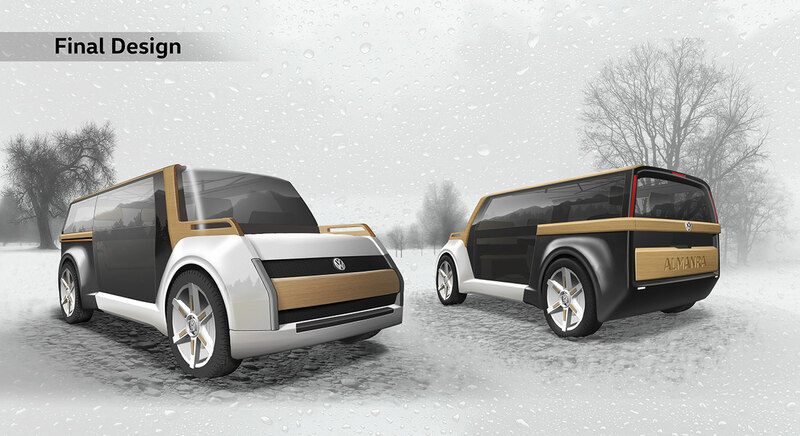 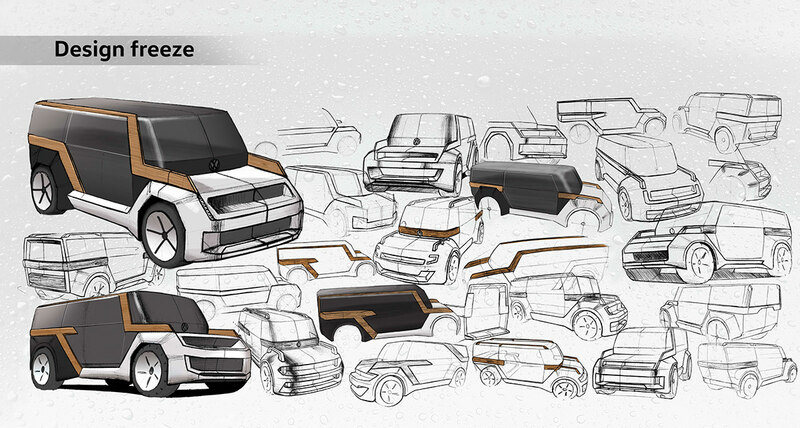 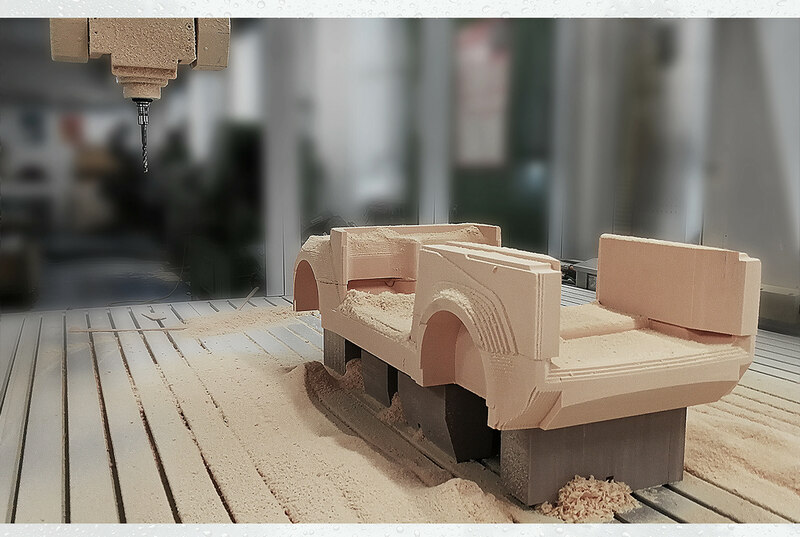 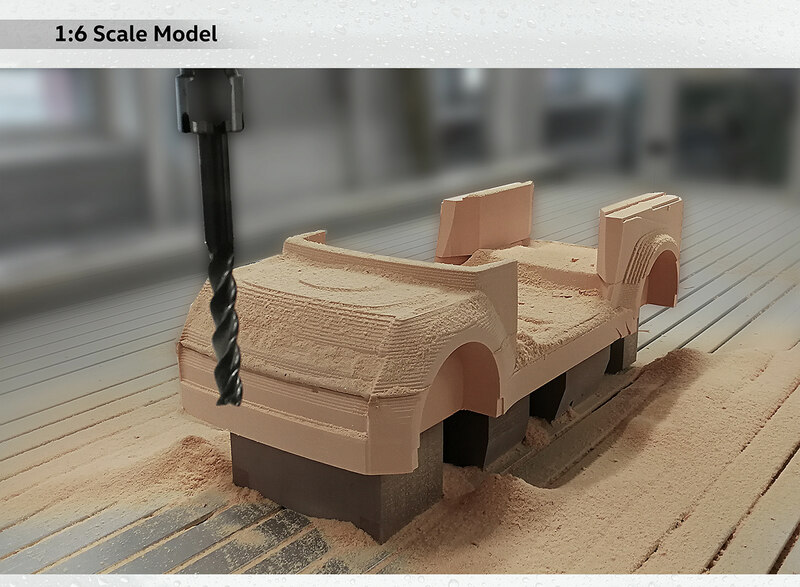 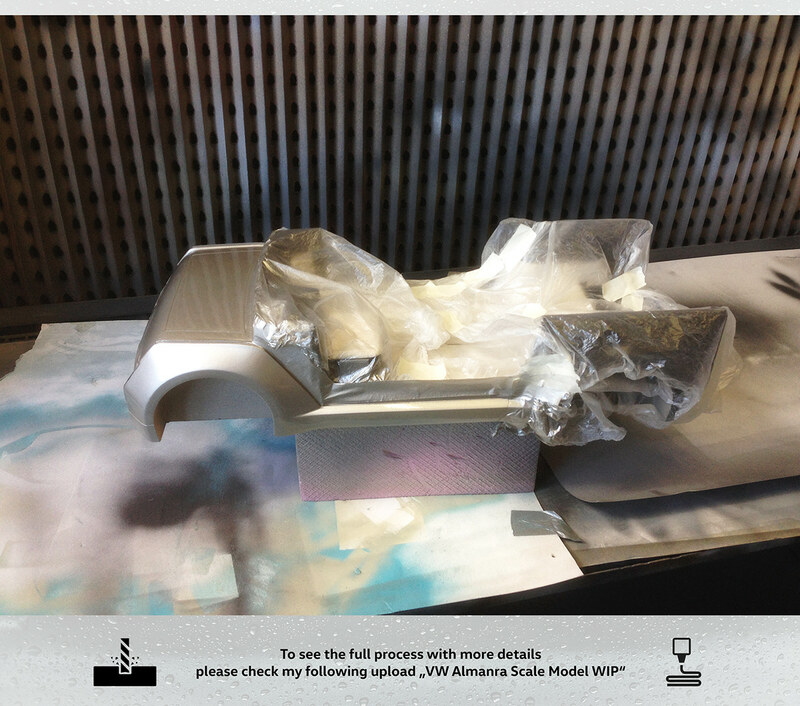 The making of " Volkswagen ALMANRA Concept "
Volkswagen ALMANRA Concept by Julian Witteler FH Joanneum, 2.Term Master Mobility Design Feb - June 2018 In Cooperation with Volkswagen AG, Virtual Vehicle and Wood C.A.R.